The Bachelorette fans know that the finale is all about who JoJo Fletcher would choose to wed and, of course, the ring that comes with it. In seasons past, it has become a tradition for The Bachelorette suitors to pick an engagement ring with the help of jeweler to the stars Neil Lane—and on the finale, the moment finally arrived for Jordan and Robby to select the ring they would get down on one knee with. JoJo recently told InStyle that she favors a more understated design that has a centerpiece diamond. "I always lean towards a more simple setting. Instead of multiple large stones, I love one big rock on a dainty, small band. Something timeless," she told the magazine—and that's just what she got from now-fiancé Jordan Rodgers. "Overwhelming is the right word for sitting there, trying to pick out a ring," Jordan said of picking out the perfect ring on the season finale. "An engagement ring is forever—it’s going to represent that promise that it’s gonna be her and me for the rest of our life." The former football player settled on a four-prong oval-cut ring with a diamond-encrusted band. The stunning sparkler fits the bill for what JoJo had hoped for and is the one she ended up with after accepting Rodgers's proposal. Check out close-ups of JoJo's gorgeous Neil Lane engagement ring below, and keep scrolling to shop styles inspired by hers. 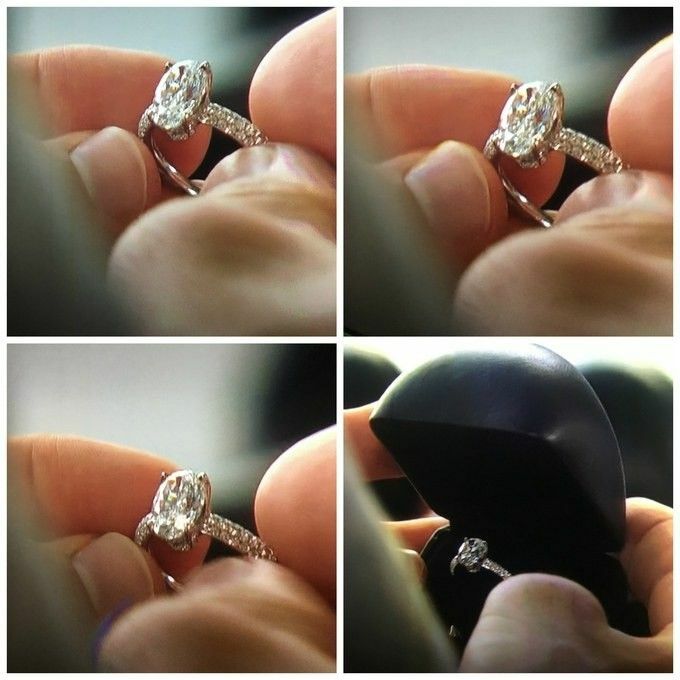 What did you think of the proposal and the ring? Tell us in the comments.